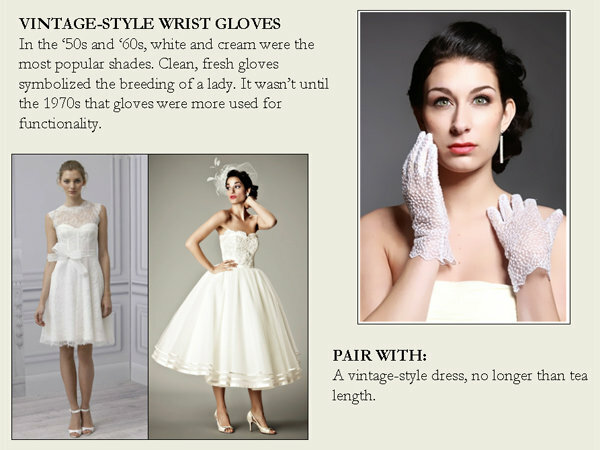 Even though gloves have been a staple in women’s fashion for hundreds of years, they’re not nearly as popular these days, and most brides don’t even consider gloves as an accessory for their wedding day look. 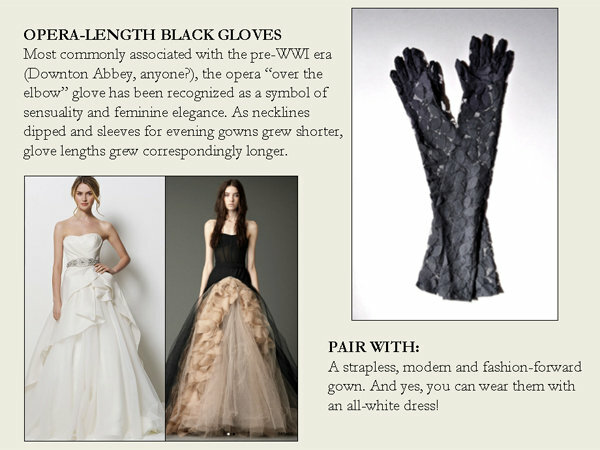 But we love the idea of donning a pair of delicate, feminine gloves. 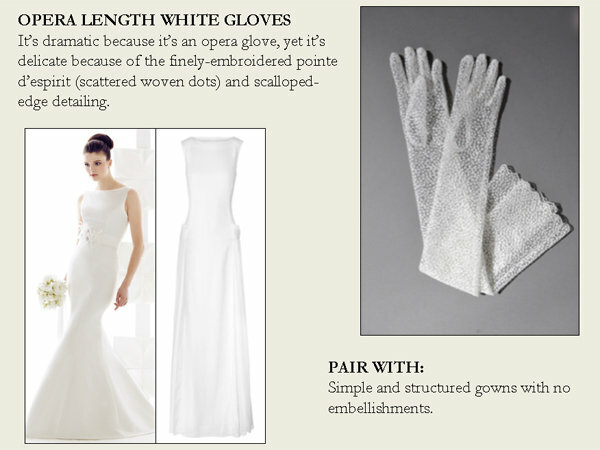 In fact, the right style and length of glove can add such a unique quality to just about any bridal look. 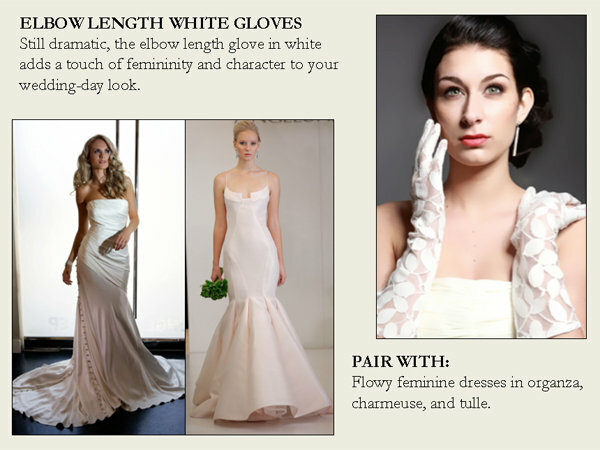 We’ve put together four ways to incorporate them into your wedding-wear. Previous story How Do I Accessorize My Wedding Gown?